17 Best Compact Cameras – How to Choose a Small Point and Shoot Camera? Here are the best compact cameras for your money you can use to take family photos or beauty photographs in the studio. Point and shoot cameras have been updated for the last several years because there are many smartphones that show the same photo quality. That’s why I’ve decided to put together a guide to the best compact cameras for beginning photographers. Some years back, people used to take family photos with point and shoot cameras. Nowadays, everyone has a smartphone and there is no need to have an extra digital camera. However, for those amateurs, who opt for first-rate images and are not eager to buy an expensive DSLR or hire a professional photographer, a cheap compact camera is a perfect possibility to satisfy their ambitions. I have prepared the 17 best compact cameras with different budget and shooting capabilities. ISO range of 125-12800 is provided by the camera’s 20.2 MP 1-inch BSI-CMOS. It is one of the best compact cameras, as it offers reduced shot-to-shot time and immediate playback. Fast maximum aperture and 24-100 mm definitely contribute to its functionality. Besides, it is also equipped with a 9-blade curved aperture diagram and a neutral-density filter. Flipping range of the 3" touch screen LCD is from 180 degrees up and 45 degrees down. Panasonic's ZS/TZ-series cameras are certainly worth their money since they are equipped with a huge 30x zoom providing first-rate quality images. The Lumix compact camera offers auto and manual controls as well as raw shooting. The Lumix ZS50 has an EVF squeezer function. It may be useful in dazzling light, though the viewfinder is not the biggest one. Thanks to its high quality and convenient control system, Lumix can be easily called the best compact travel camera. If you are going to do professional photography, view more reviews of the best cameras for photography that are DSLR or mirrorless cameras. The Leica Q is a stylish compact camera that is designed for those who like to capture the beauty of the world around them. Due to the high ISO, you will get RAW images of excellent quality. The raw dynamic range cannot be called ideal if you compare the Leica Q with competitors. But if you set a correct exposure, you can get an excellent result. This compact camera is capable of shooting Full HD video, with a speed of up to 60 frames per second. The video quality is pretty good. Leica Q is the perfect option for travelers, street photographers, bloggers, and journalists. The Cyber-shot RX1R II is a small camera with a Zeiss Sonnar T * 35 lens, a BSI 42-megapixel full-frame CMOS sensor, electronic viewfinder and autofocus system from the a7R II. High detailing, good ISO performance and a wide dynamic range allow the Cyber-shot RX1R II to be one of the best compact cameras today. The leaf shutter will save you from vibration when opening the lens. It is quite expensive, but its price fully corresponds to its characteristics. Looking for an affordable camera? Read more about the best point and shoot cameras for travel photography. According to many compact camera reviews, this camera may perfectly cope with many tasks. If you compare the Olympus Air A01 and the cameras of the most top-end smartphones, you will notice that it has better characteristics, such as detailing, color saturation, good dynamic range, and deep shadows. Olympus Air A01 is designed primarily for everyday or family photos, for instance, capturing landscapes, food, snapping group selfies. I think this is the best pocket camera for fans of social networks. The LX100 shoots excellent 4K (UHD) videos in 24p or 30p format. In short, the LX100 is rightfully the best small digital camera, which has an incredibly large sensor and convenient interface. 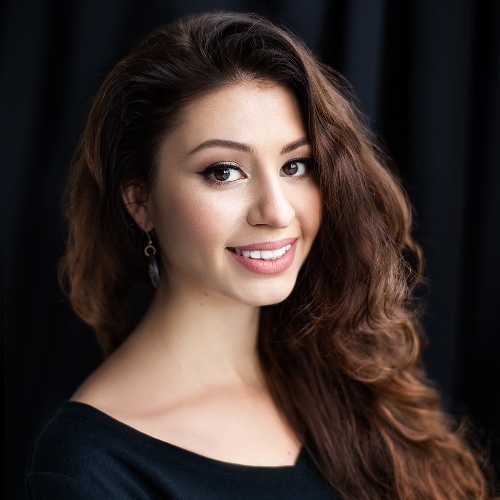 It is the perfect choice for a professional photographer who needs a reliable additional camera. Due to its compact size, it will easily fit in your pocket. The disadvantages are its short zoom and a low number of pixels. Besides, even when you apply noise reduction and lower sharpness, adjust the JPEG engine, the pictures may not be satisfying. Exceptional zoom makes the Nikon Coolpix B500 one of the best small digital cameras. Despite the absence of a viewfinder, all troublesome angles may be simplified with the assistance of a tilt screen. Moreover, you may hide the screen from nasty sunlight. Basic modes available with the Nikon Coolpix B500 is a great option for those who do not search for something extraordinary. Unfortunately, fully automatic modes don’t let you change shutter speed or aperture. Raw shooting is not available either. If you are going to start photography career, I recommend reading about the best mirrorless camera for beginners and choose the best beginner camera for your money. Vintage Fujifilm FinePix X100 is one of the best compact cameras for professional photographers since it is equipped with an exclusive hybrid VF and a huge APS-C sensor. Besides, this fixed-lens digital camera features a modernized control layout, a third-generation 24.3MP X-Trans CMOS III sensor. The model is praised for a high sensitivity range and upgraded autofocus providing impressive picture quality. The modifications made this APS-C compact camera one the most desirable digital cameras among street photographers. Olympus TG-5 can be easily called an indestructible compact camera due to its durable protective performance. It is waterproof to a depth of 15 m, freezeproof down to 10 ºC below zero and crushproof to handle a 100 kg load. Olympus TG-5 possesses a durable body that is not easy to break. If you are an intrepid photographer looking for the adventures, this camera is certainly for you. No matter what your destination is ‒ stunning mountains or unfathomed deeps ‒ Olympus TG-5 is undoubtedly a must-have for your trips. Moreover, it is equipped with such necessary outdoor features as GPS, compass, manometer and thermometer, information from which may be featured in your images and videos. A ‘variable macro system’ enables you to take exceptionally detailed pictures. If you are looking for the best pocket camera, Ricoh GR II is for you. It has all basic features, for instance, a big 16MP APS-C sensor, raw shooting, a fixed 28 mm (equivalent) f/2.8 lens, especially sharp. Its magnesium alloy body provides lightweightness and great durability. The GR II is modernized with such up-to-date feature as Wi-Fi allowing to control the camera remotely and transfer photos via smartphone. Though it is not suitable for portraits, sports and wildlife due to its wide-angle lens, Ricoh GR II is perfect for street photography. Thanks to its compactness, superb photo quality, good autofocus, and impressive lens, the GR II steadily heads the list of the best compact cameras 2018. Aberg Best is the best budget compact camera for beginners. A magnificent 2.7 inch TFT LCD screen lets you watch all videos you have just recorded in superb quality. The camera is equipped with a good battery, providing 60 minutes of continuous work. 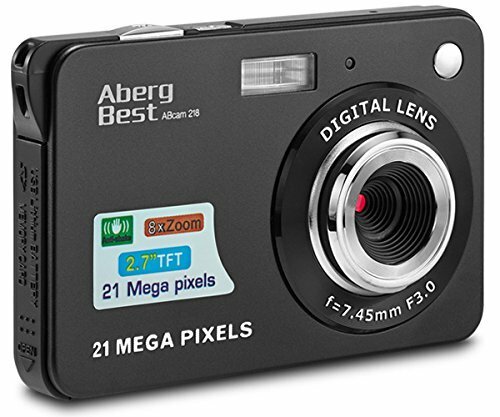 Although Aberg Best belongs to the category of cheap cameras, it has 21 MP to snap photos that may be also printed and used. Besides, this cheap camera is upgraded with such useful features as Face Detect, Smile Capture, and Anti-shake. Such ‘extras’ as good autofocus system, 4K video recording, and EVF make the ZS100 a notable model among other cameras. It is also improved with a 3", touch-sensitive LCD, Wi-Fi, and 4K features. A 1"-type BSI CMOS sensor and a 25-250 mm equivalent lens make the Panasonic Lumix DMC-ZS100/TZ100 one of the best point and shoot cameras. Lumix ZS100 is ideally suitable for dynamic photo and video shootings since it has superb autofocus and other necessary features. The HX80 is probably the cheapest full frame camera. It is equipped with a convenient electronic viewfinder (OLED Tru-Finder). Photographers can extend the viewfinder to adjust the composition of the image. The viewfinder has a 100% coverage. This means that all captured objects will be on your picture. Thanks to the retractable viewfinder, many experts call the HX80 the best portable camera. Being a universal device, the model is ideal for different types of shooting. Most professionals use it to photograph picturesque landscapes (for example, in the mountains). The Fujifilm XP130 is the best camera under 300 dollars. It is designed to work in harsh weather conditions. It is distinguished by high reliability, water and shock resistance, and quite a decent image quality. It has a 5x optical zoom lens, Wi-Fi, Bluetooth, and built-in optical image stabilization. XP130 is produced in five color variations (white, blue, green, silver and yellow). JPEG images are characterized by a high clarity of colors in the center of the picture. However, it gets slightly worse at the edges of the image. The XP130 is the best compact camera for travelers and lovers of extreme sports. It cannot be compared with professional cameras, but pictures for social networks taken by it look very good. Previously, Wi-Fi was a characteristic of large, expensive cameras. However, today, even portable gadgets, including this model, have a Wi-Fi module for sharing new pictures on the Internet. Besides, remote control is a great way to make a beautiful group photo. The WX220 is an inexpensive point and shoot model that has excellent features, such as high color saturation and a user-friendly interface. The EX-S12 is a very lightweight and small camera. This 12.1-megapixel model has a 3x zoom, while it weighs only 130 g. It has a 2.7-inch screen with a resolution of 230k pixels, automatic brightness correction, improved facial recognition, as well as portrait mode. An important feature of this model is the ability to create high-quality videos. Of course, this compact camera has some drawbacks, such as rather poor performance, image distortion at certain angles and the inability to use the optical zoom during video recording. However, such advantages as color saturation and user-friendly interface make it probably the best portable camera for beginning photographers. A 40x optical zoom and compactness make Canon SX740 HS the best small camera fitting in your pocket. It is a 24-960 mm flexible camera that takes pictures of remote objects. It is modernized with five-axis image stabilization, Canon’s Digic 8 processor, 4K video shooting and an option to snap stills at up to 10 fps. Nevertheless, the SX740 HS has some drawbacks which may prevent potential clients from buying it. They are likely to switch to other cameras such as the Panasonic TZ-series for example. It doesn’t have an EVF, Raw shooting mode, a screen sensor, and, unfortunately, the focal point can’t be altered. Still, being equipped with 40x optical zoom, 4K video providing relatively good picture quality and great portability, it satisfies the needs of its potential buyers. How to Choose a Compact Camera? There are several aspects that you should pay attention to when choosing the best compact camera. It all depends on your goals. If the image size is the most important aspect for you, you need to be guided by the number of megapixels. For example, if you are going to print photos of small size, you can use any camera from 4 megapixels (for example, a smartphone camera). However, if you are shooting at a professional level and your work involves printing large pictures, pick out an expensive and high-quality device. I recommend opting for an optical zoom. Although the digital zoom is a good option when combined with photo editing in Photoshop too. Compared to smartphones, compact cameras are leaders, since only the newest phones have 2x zoom on the market. Moreover, these gadgets are very expensive and cost even more than some of the best digital cameras with a good zoom. A large sensor is able to capture more light, which makes it possible to get good photos at any time of the day. In addition, the size of the sensor affects the depth of field. With a big sensor, you can easily achieve the effect of a blurred background. By the way, the price of the camera largely depends on the sensor size. In short, the “f’ ”indicator is responsible for the opening of the aperture. The greater this value is, the less light will be involved in the frame (for example f1.4 is better than f2). It affects the depth of field. Setting a large aperture may result in blurry photos. There are various camera shutter speeds which are designed for different aims. These values ​​are denoted by numbers (for example, 1/1000 or 1/50). The average speed is 1/60. Be aware of the fact that indicators below this value can cause blurring of the image. Remember this when choosing your camera. ISO is an indicator of camera sensitivity to light. The advantage of digital devices, as opposed to film ones, is in the possibility to adjust the ISO at any moment. However, keep in mind that the higher ISO value you select, the more digital noise on the pictures you will get, even while using the best compact camera.